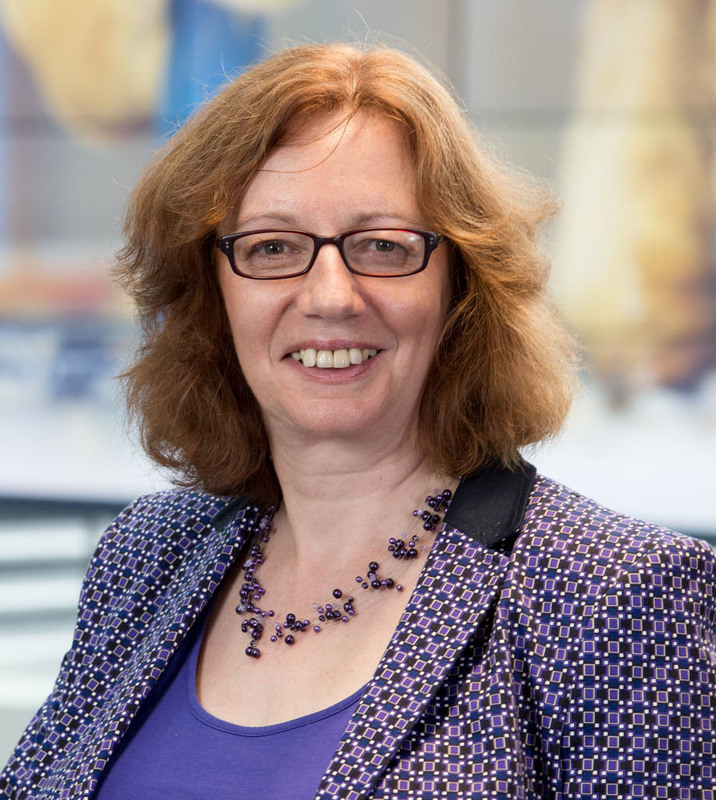 Sandra Cairncross is Assistant Principal for Student Experience at Edinburgh Napier University. Her current interests focus on exploring student engagement outside the classroom as well as life-long commitment to widening access and participation, including encouraging other women to study engineering. Sandra also chairs the Advisory Board for Equate Scotland. Outside work she enjoys applying her research skills to genealogy, seeking to understand the lives of her ancestors as well as tracing them back through the generations. Hearing about the Dangerous Women Project and reading its blogs got me thinking about the women in my family tree, great grandmothers and aunts, close and distant cousins, whose lives were often less recorded and hence less remembered than their fathers, brothers and husbands. However, as I researched and delved further into their lives, I began to realise than many of my ancestors were indeed Dangerous Women; who lived their own lives and in so doing both shaped and were shaped by their wider families and surroundings. One such women was Mary Hean (1832 to 1907), a distant cousin, born into a well-off Dundee family of builders. Mary married a solicitor David Alexander in 1861 at the relatively late age of 29. Their marriage certificate describes Mary as “living with her parents”. However in the census earlier that year she is described as a wine and spirit merchant, suggesting more than element of “dangerousness” in that family circumstances meant that she could have followed a more conventional path of being supported solely by her father and thence her husband. At first, the lives of the sisters seemed enigmatic, leaving little trace to be found in census records –rarely did the family appear together. For example, the 1881 census sees David with his two youngest daughters in Glasgow, along with a cook and a table-maid, but there is no sign of Mary and the two eldest daughters. The 1891 census sees the parents together with Elizabeth and Helen, but not Lily and Mary. Death certificates yield relatively little information – those of Elizabeth, Mary and Lily simply state that they were single and suggest that the sisters had lived together. Initially, Helen’s couldn’t be found. Finding out more about the sisters initially proved elusive. However perseverance paid off: combining names and addresses in Google brought up an article from the Glasgow Herald: “Miss Lily Alexander: An Appreciation”[i] which was published following her death. The author (only their initials DA are given) starts by reflecting that the death of Lily marks “the end of an era, an era associated with gracious hospitality, with philanthropy untinged by patronage, and with an appreciation of the fine arts”. It goes on to say that Lily was the “youngest of four brilliant sisters” adding that “all four were educated abroad at a time when Swiss and Paris finishing schools were unheard of”. This probably explains the gaps in the census records. The sisters lived together in Queens Crescent and “held on Sunday afternoons what was probably the city’s nearest approach to French salons” and that “visitors there were Glasgow’s most distinguished men and women, mingled with a scattering of foreign scholars, shy young students and budding musicians to whom the sisters wished to give a helping hand”. The article paints a vivid picture of each of the sisters and their accomplishments – Elizabeth was an Oriental scholar and had received an honorary degree from Glasgow University. Ella (as Helen came to called herself in later years) was a sculptor “whose work was well known in art circles”. Mary was a pianist who “given better health, would have made her name on the concert platform”. Lily herself served in a canteen in Abbeville France during the First World War and afterwards went to Canada where she travelled extensively on her own. I was intrigued and I set to find out more. I found no further references to Mary, save that she died four days before her sister Elizabeth. However, a richer picture soon began to emerge of Elizabeth, Ella and Lily. Ella had perhaps changed her name from Helen to avoid confusion with her sister Elizabeth whose middle name was Helen. Searching under Ella located her death certificate. Elizabeth had registered her death. Her name was given as Ella Hean Alexander and she is described as a portrait painter. This is in contrast to her sisters’ death certificates, where no occupations are given. However, other records reveal that both Lily and Elizabeth also painted and sculpted. Little trace remains from Lily’s early years, no pictures of her works have been found. Her name appears on a passenger list to Canada in 1910. Her ship landed in Quebec and Lily gave British Columbia as her intended destination. Herlater years were devoted to charitable works – she was honorary secretary of the Samaritan Society based at the Western Infirmary in Glasgow and was one of the first members of the Cancer Relief Society in Glasgow. Elizabeth was multi-talented: she painted and sculpted and played the cello. She was also a bibliographer focusing on documenting the works of Sir John Ferguson, a Professor of Chemistry at the University of Glasgow. Elizabeth was awarded an Honorary Degree (Doctor of Law) by Glasgow University in 1934 on the occasion of the installation of their new chancellor Daniel M Stevenson, the only woman to be so recognised on this occasion. The first woman to have been awarded an honorary degree by the University of Glasgow was Frances Melville in 1927; she was the second mistress of Queen Margaret College. When she retired in 1935 a subscription founded a medal in commemoration of her services. This medal was modelled and cast by Elizabeth. In her will, Elizabeth bequeathed a university gown to Glasgow University. The gown was reportedly made for Queen Elizabeth the Queen Mother when she was Duchess of York. This does not appear in the current list of donations at Glasgow University. However, the University’s special collections do include papers and correspondence between Elizabeth Alexander and Henry George Farmer, a musician and Orientalist. Her sister Lily also donated an illuminated Koran. Ella attended Glasgow School of Art. Her classmates included Margaret MacDonald and her sister Frances, who married the painters Charles Rennie Mackintosh and Herbert Nair respectively. A class picture from the early 1890s can be found in the Glasgow School of Art Archives. In the picture, used to illustrate this post, Ella is second from left on second back row. Frances MacDonald is far right on front row with Margaret three along. References to Ella’s work can be found in contemporary newspaper reports of exhibitions. For example, the Glasgow Herald account of the Lady Artists’ Exhibition in 1897[ii] describes a painting by Ella, titled Chrysanthemums, as “not so much a study of flowers as of a girl’s head, the flaunting blossom being chiefly introduced and that most effectively for decorative purposes”. The article describes several other paintings but none are reproduced, a reflection of printing technology at that time. Another account reveals that Ella showed two paintings at the Women’s Exhibition at Earl’s Court in 1900. One of these was a portrait of William Knight Professor of Philosophy at the University of St Andrews. A story in the Dundee Courier the previous year[iii] explains that the painting was paid for by subscription and presented to William Knight by Anna Swanwick, an author and campaigner for women’s education who died later that year. Valuation rolls from between 1895 and 1920 reveal that both Elizabeth and Ella rented studios in Glasgow, Elizabeth in West George Street and Ella in Bath Street. One of Ella’s studio-neighbours in the 1915 and 1920 rolls was Jessie M McGeehan, who attended Glasgow School of Art at the same time as Ella. Like Ella, she too had sisters who were artists. In later years Ella become a Christian Scientist and kept an office in Newton Terrace. Ella died in hospital Inverness from chronic diverticulitis and perforation of her colon. Her death was certified by Dr Cecilia Middleton, who was one of ten women out of a class of 62 to have graduated from Aberdeen University two years previously. A picture thus emerges of a cultured and privileged background, of a family where education was encouraged and supported and where the four sisters were afforded a degree of independence enabling at least three of them to attend Glasgow School of Art. The sisters also appear to have given back to society through charitable works. There were four sisters, each of whom I would define as a ‘dangerous woman’, whose paths crossed that of many other notable dangerous women in the late 19th /early 20th centuries. Like the Alexander sisters, I too was born in Glasgow, a hundred years after Elizabeth Helen, who is my third cousin, three times removed. My parents also valued education. I went to Strathclyde University to study engineering and my sister attended Glasgow University, never realising that a distant cousin had left her mark there many years ago. Paths, which once diverged and petered out, have now re-crossed, if not converged. The four sisters led interesting lives and were well known, at least in Glasgow, in their time. However, in the fifty plus years since Lily died they are gradually fading from history as well as memory. Traces of the Alexander sisters remain in statutory registers, in newspapers, and in art and other catalogues. However, I came to realise that errors appear to have crept in. In particular Ella appears to have been conflated with her sister Elizabeth in some art history accounts and, as a result, written out of (some) histories. For example, the Mapping Sculpture project website has entries for Lily and Elizabeth but not Ella. Initially I attributed this to Ella specialising in paintings rather than sculpture (although the appreciation of Lily Alexander described Ella as a sculptor). However, on closer inspection I noticed that the entry for Elizabeth gives her name as Elizabeth Hean Alexander rather than Elizabeth Helen Alexander (although she too may have decided to incorporate her mother’s maiden name into her name) and that the dates of birth and death given (1868-1942) correspond to Ella’s rather than Elizabeth’s (1862 to 1951): here, Ella’s identity appears to have been subsumed into that of her sister. However as discussed earlier, newspaper accounts of the time confirm that it was Ella, not Elizabeth, who painted the portrait of Professor Knight. One explanation could be that it was Elizabeth who called herself Ella rather than Helen, but it was Elizabeth who registered Ella’s death. One painting at least appears to have been attributed to the wrong sister. The signature on the Portrait of the Unknown Academic is E. Hean Alexander so again this could be Ella (but equally could be Elizabeth). For me there is something sad about dangerous women disappearing from history in this manner, essentially being airbrushed out through carelessness – achievements being forgotten through a (mistaken) assumption that there could only be one “E. H. Alexander” woman artist in Glasgow at this time. The Alexander sisters – Elizabeth, Mary, Ella and Lily – were individually and collectively dangerous women: they were different and made a difference. They were creative, expressing themselves through art and music. The sisters also gave back; whether that be the weekly salons they held, documenting the work of others or through charitable works. The details of the lives once (re)discovered also challenge the notion of “genteel spinsters” which prevail. In researching my family tree, I have come to realise that dangerousness is not new but can be forgotten. I am pleased to have this opportunity to acknowledge the contribution made by each of the Alexander Sisters – four remarkable women in whose footsteps I am proud to follow.